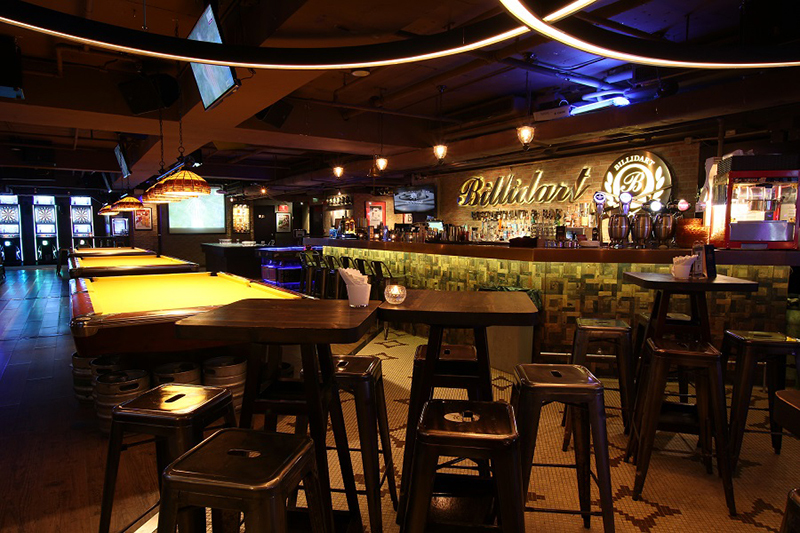 Billidart Restaurant & Bar is an American style casual dining restaurant and bar located in the heart of Hong Kong. With an aim to provide you with a relaxing, comfortable and entertaining environment for the evening. With a total dimension of 10,000 sqft, we will work our best to cater your parties and corporate events. 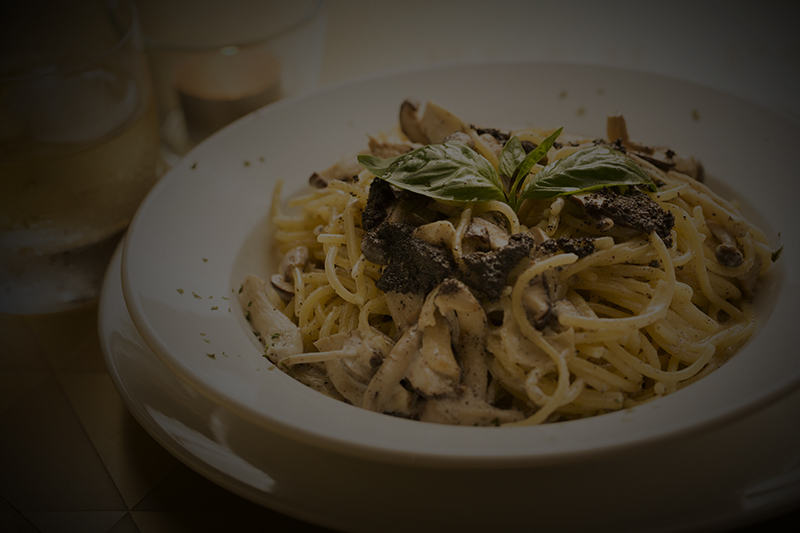 We have the widest range of food and drinks menu available until after midnight daily. 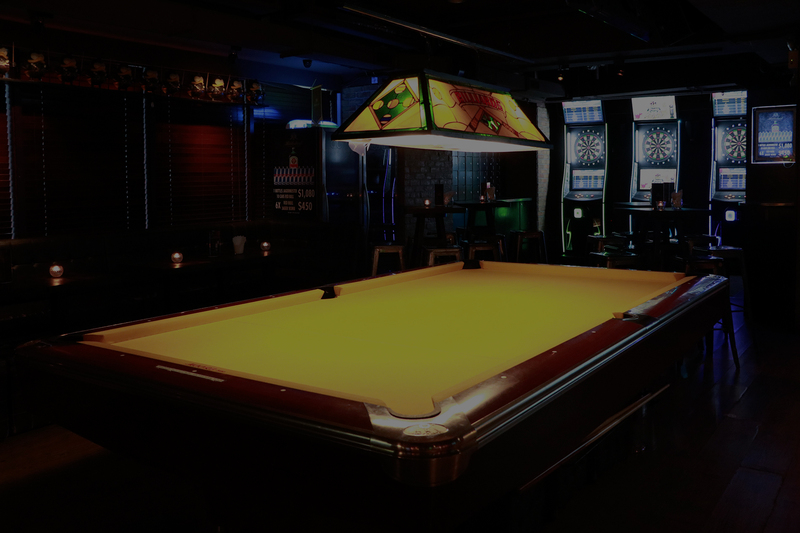 Fans of American pool can play against each other at the ‘Challenge Table’ or you can get rid of everyday stress at the dart area. Sports fans should check out your favorite sports games on our large LED TV’s. Nothing is better than cheers and beers. Beer lovers cannot miss our drinking games: Beer Pong, Flip Cup, and Slap Cup. Beer Pong, a popular American college drinking game which was introduced by Billidart to the crowds in Hong Kong back in 2009, has now became a popular bar activity in Hong Kong . Billidart Restaurant & Bar is your one-stop food and entertainment hub. 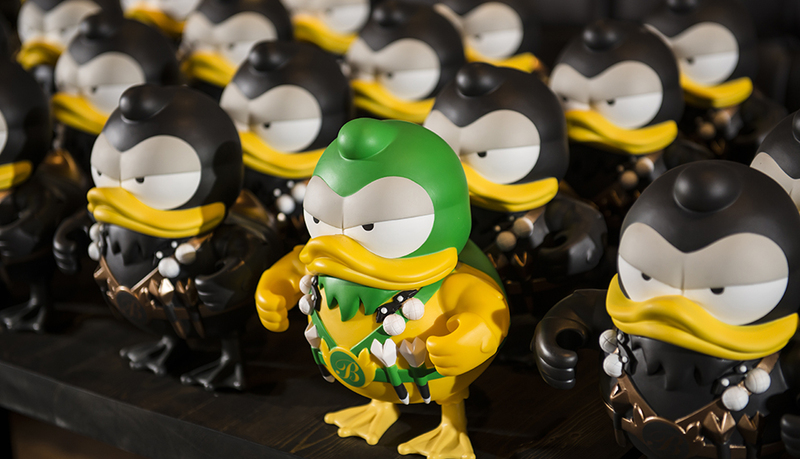 Billiduck is a mascot created by Billidart Restaurant & Bar. He is born and designed by our owners in Hong Kong on January 11th 2013. 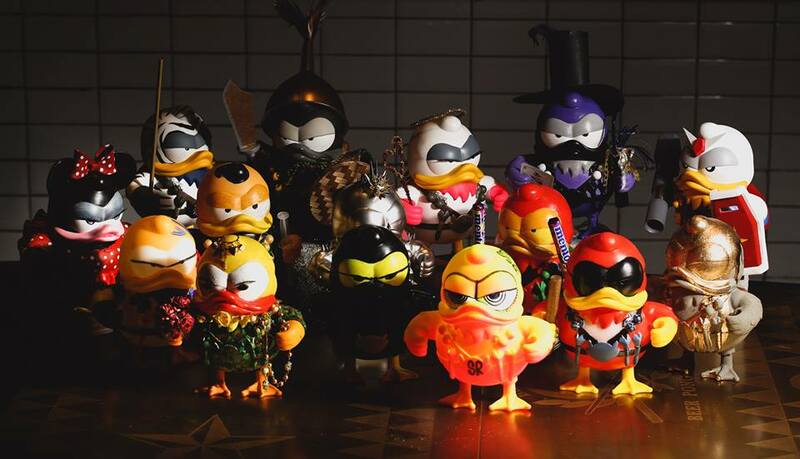 He has a chubby body figure and wears waist belt and shoulder strap that are specially designed for him. His favorite games are Beer pong, Flip cup, Darts and pool. That’s the reason he constantly carries Beer pong balls, darts and cue stick with him. 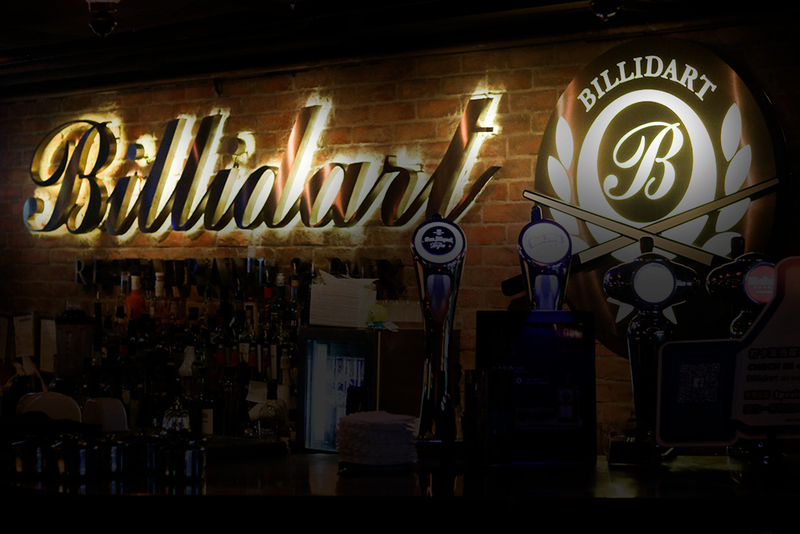 Billidart Restaurant & Bar has invited VIPs and designers from time to time to create unique images for Billiduck, making it a significant figure for Billidart Restaurant & Bar. Flip Cup is a team-based drinking game. Two teams standing on opposite side of the table. The first player on each side will make a toast then chug the beer and try to flip the cup up-side down. The next player will start when the first person flipped the cup successfully. The team that flips all cups first win the game. Slap cup is a fast paced competitive drinking game where there are a total of 20 cups filled with alcohol in the middle. Individuals around the table will take turn bouncing a ping pong ball into a cup as quickly as possible before the person next to you catches up and slap into your cup. If your cup has been slapped, you will have to drink a cup of alcohol and continue on with a stack of cups. The person that drink the last cup will lose the game. Billidart is the most unique and multi-functional restaurant & bar you can find in Hong Kong. With a total capacity of 400 people of 2 floors, Billidart has great flexibility to customize seating arrangements for your occasions. Do you have any Happy Hour? Yes, our Happy Hour is till 8:30pm, Monday to Saturday. Drinks are Buy 1 Get 1 Free (exclude bottle purchase of wine and liquor) and we have Happy Hour Snack Combo for you to choose from. I don’t eat the nuts, can you waive it for me? Unfortunately, as mentioned in our menus, it’s a mandatory minimum charge for the bill tonight; and it will only be charged once for every two guests for the night; but trust me, it goes absolutely well with a drink from the bar! Can I make a reservations for the beer pong tables? 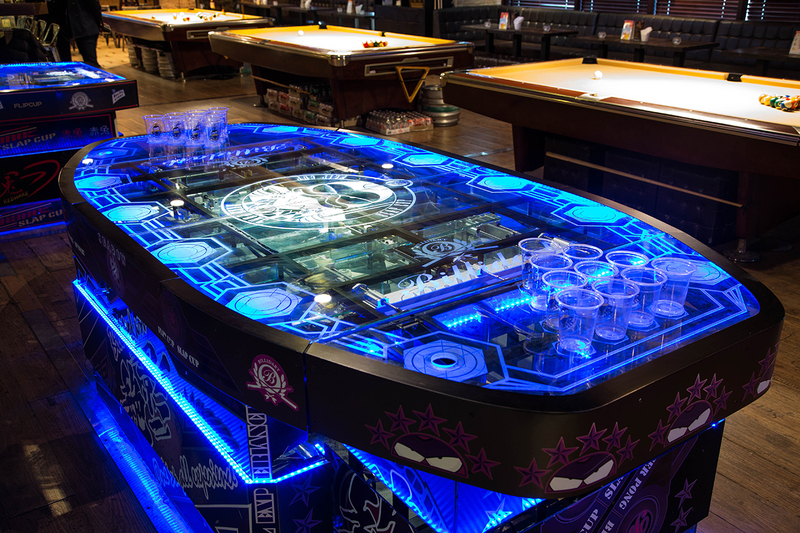 All game tables are on a first-come-first serve basis and each beer pong game is limited to 10 minute per play time. Reservations of beer pong tables are available for exclusive booking of the venue only. What is the “bell” used for that’s at the corner of the bar, can anyone ring that up?? If you ring the “bell”, meaning that you will treat the whole floor 1 round of drink; and we will sincerely thank you on behalf of other guests in the house. Why do I have to wait so long to play on a beer pong table? 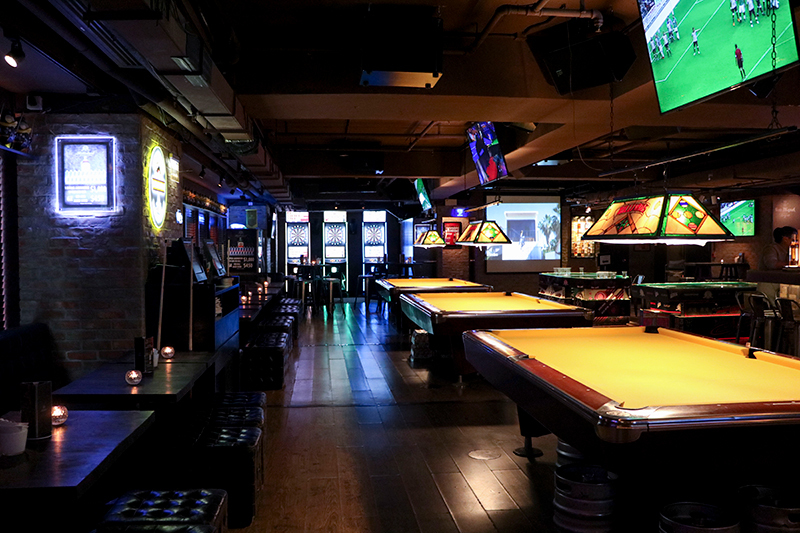 We apologize for the long wait as there are many groups wanting to play at the beer pong tables at the same time; you are welcome to enjoy some time at our other facilities: darts, pool, dice, and card games. Can you extend the Happy Hour for us since we have a big group? What’s the difference between the bars in LKF and Billidart? We are located in Wanchai??? Can we have the Buy 1 Get 1 Free offer to us for Flip Cup? Well, beer pong, as it is a “sport” involving a ping pong ball; have you seen other sports without a time limit for each game? How come the Flip Cup Table can’t be used as a Beer Pong table? Every fixture at Billidart has its valuable purpose, suppose you won’t expect that a Ferris Wheel will turn into a Hot Wheels when no one is playing right? We have a party of 20, and we don’t want other walk-ins to come in since you won’t have any more space to occupy others anyway? Thank you for being considerate, as our venue can hold up to 200 pax on each floor; we for sure can host your party of 20 sound and safe for the night with other friendly guests as well. How come you guys are more expensive than the bars in Tsim Sha Tsui? That’s because we are in Wanchai?! Is there any discounts for Birthday celebration? Yes, there will be a birthday surprise for you where you will be getting drunk the whole night, and your friends will definitely treat you for your birthday this time. For updates, please follow our Facebook fan page.